Here is a cake I experimented with for my future daughter in law Jennifer Carmen's birthday today. This chocolate cake is infused with a banana caramelized topping that just melts in your mouth and has a hint of rum flavor. I hope she likes it, I wanted to share her special day with all of you. Jennifer got a beautiful special present this week, her mom flew in from Kentucky to visit for her birthday week and to see Antonio for the first time. These were such precious moments between mother and daughter, it brought tears to my eyes. So we have a double celebration going on here and the bigger party with whole family coming up this Sunday. Antonio is getting lots of love from his reunion with his grandmother Sandy Carmen. We are all so thrilled to have them all together. 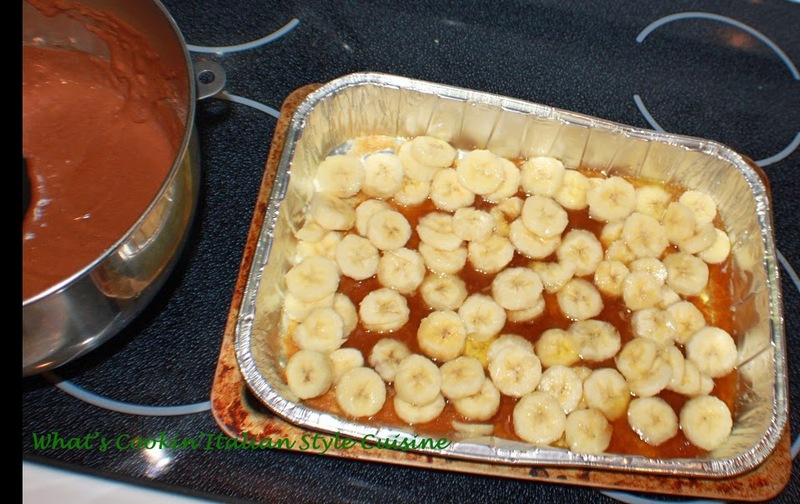 This is also an absolutely delicious way to use your bananas up! In a 13 x 9 pan melt the butter and make sure the sides are greased with cooking oil or shortening. Place the brown sugar on top of the butter, then add evenly around all the sliced bananas. 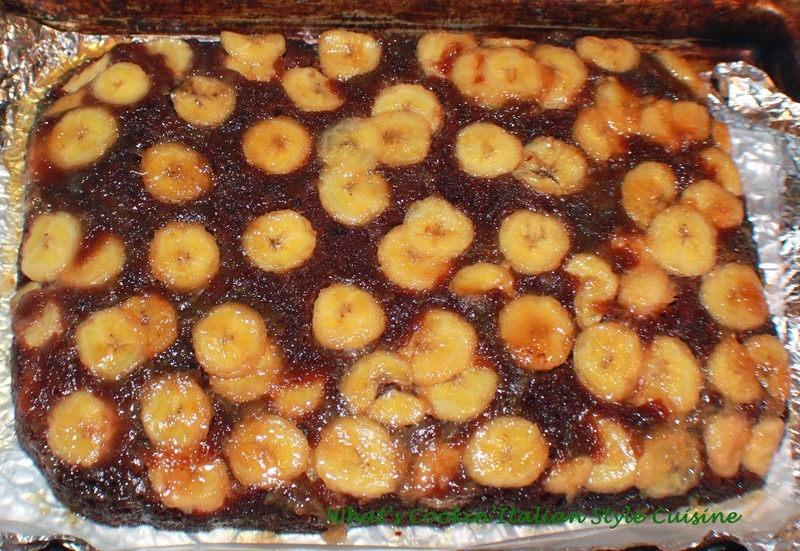 Pour the batter over the bananas and bake for 40 to 45 minutes at 350 degree preheated oven. Invert onto a large cookie sheet. Cool serve with whipped cream. Keep refrigerated. 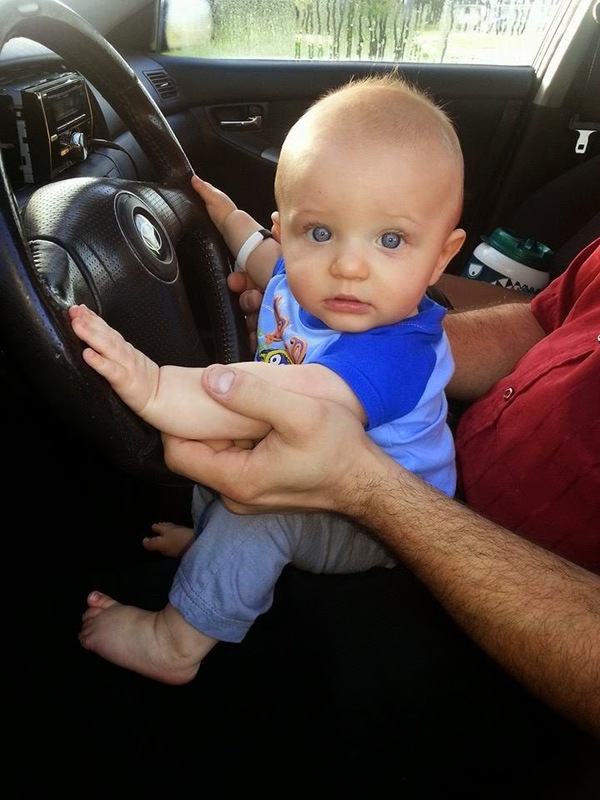 Antonio Valentino Iffert, he is getting so big already 6 months old! We love you baby boy! 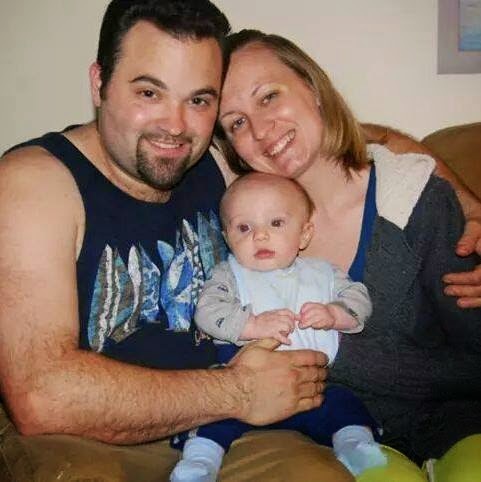 What a beautiful family you have. The cake is gorgeous, and looks so good. Have a wonderful family party this weekend! Caramelized banana - temptress! Starving for carbs! Lovely dessert - gorgeous family - and Antonio - what? So big already? Love how much you are enjoying him!